Some people. Some people are crazy good at art and sculptures and stuff. Even with chocolate. For example, there’s a fantastic sculpture of a boat… and a kraken. This entry was posted in crafts and projects, food, Webmaster and tagged crafts and projects, food, webmaster on September 16, 2018 by Webmaster. Simplicity sells shoulder dragon patterns! I recently found out that there are patterns for shoulder dragons. And simplicity has one. This entry was posted in crafts and projects, Webmaster and tagged crafts and projects, webmaster on September 13, 2018 by Webmaster. Somebody 3D printed a Gandalf the White prop staff, and constructed it. And it’s collapsible. The entire thing is pretty cool, and worth checking out. This entry was posted in crafts and projects, DIY, Webmaster and tagged crafts and projects, DIY, webmaster on August 28, 2018 by Webmaster. Other background. I recently discovered Tunisian/Afghan crochet, which makes it easier to incorporate designs in the stitching. So, I made a fan art thingy. This entry was posted in crafts and projects, Webmaster and tagged arts and crafts, webmaster on August 5, 2017 by Webmaster. So somebody wrote about somebody else who the first somebody claims DIY’d their own wedding dress. Personally, I refer to that as “made your own”, rather than “DIY”. But, you know. Semantics. Regardless, the writing somebody wrote an article (with pictures!) about the sewing somebody’s wedding-dress process. And the pictures are pretty. So, enjoy! This entry was posted in crafts and projects, Webmaster and tagged crafts and projects, webmaster on June 16, 2017 by Webmaster. FUN story(ish) luck(ish) knitting project! So. Somebody on Facebook shared a link to a fun social crafting idea. It’s a “Knit Your Own Adventure” thing. It looks like it combines RPG-ness with knitting. And I’m not really describing it well. But you should check out the article on it. It looks cool! This entry was posted in crafts and projects, Webmaster and tagged crafts, webmaster on January 17, 2017 by Webmaster. Basically, for every day of the year, you crochet (or knit) 1/365th of an afghan per day. 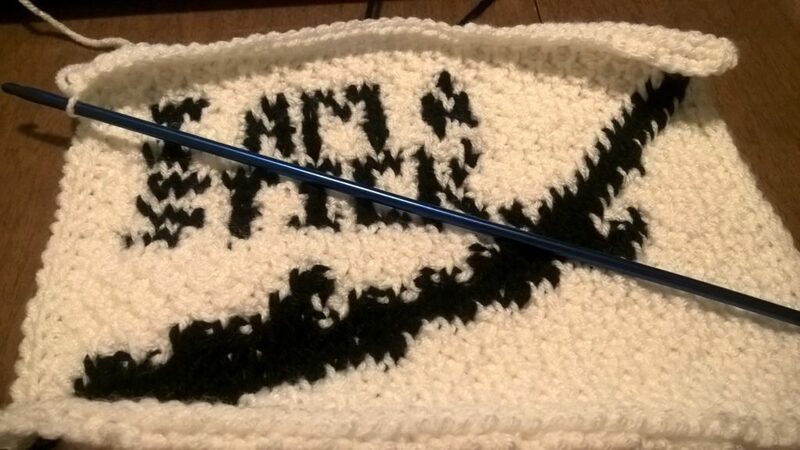 (Basically, crochet somewhere between 1 and three rows. Possibly knit 1-3 rows instead, too, but you might need to do more for the knit version. 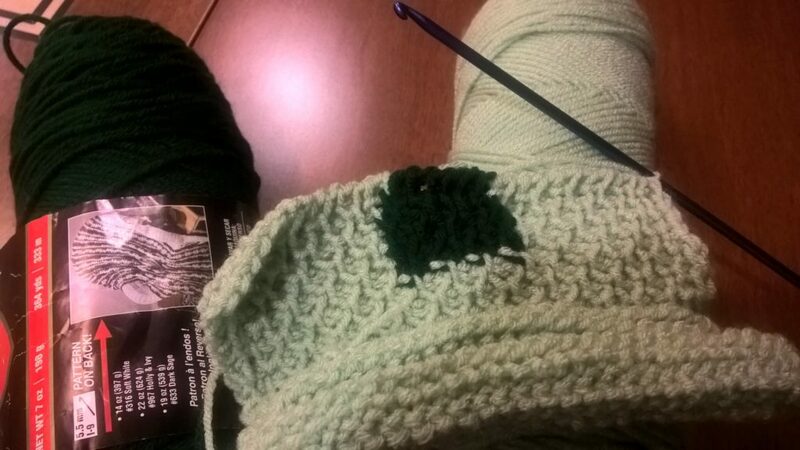 I have a tendency to think of knit rows as being shorter than crochet.) Now the fun part? The color you use corresponds to the day’s temperature. Some people choose high, some low, some both. But the effects can be pretty. And, since we have data on temperatures and stuff for previous days, you don’t actually have to start it on the first of the year (or whatever month you’re starting.) And if you miss a day, you can catch up. All you need is the temperature information, and you can make it! Lionbrand Yarn, someplace called “the Crochet Crowd” and various other blogs have yarn recommendations and instructions. This entry was posted in crafts and projects, real world, Webmaster and tagged crafts and projects, real world, webmaster on January 6, 2017 by Webmaster. So yesterday, (I have no clue why,) I randomly remembered a picture of sewing stuff that a friend did. And I was curious, and wanted to look it up. The technique is called “Smocking”. And it is gorgeous. I ended up finding a YouTube tutorial, and now I really want to try it. Problem, of course, is that I have no time. And should really be going to bed, or being productive… So, yea. I’ll leave a tutorial video with you, though. This entry was posted in crafts and projects, Webmaster and tagged crafts and projects, webmaster on September 6, 2016 by Webmaster.